Lets see a java program to convert java String object to StringBuilder using constructor of StringBuilder class. #1: Java program to convert string to StringBuilder using constructor of StringBuilder class. #2: Java program to convert string to StringBuilder using append method of StringBuilder class. We can Convert StringBuilder to String by using toString() method of StringBuilder class. How to convert StringBuilder to String in java. 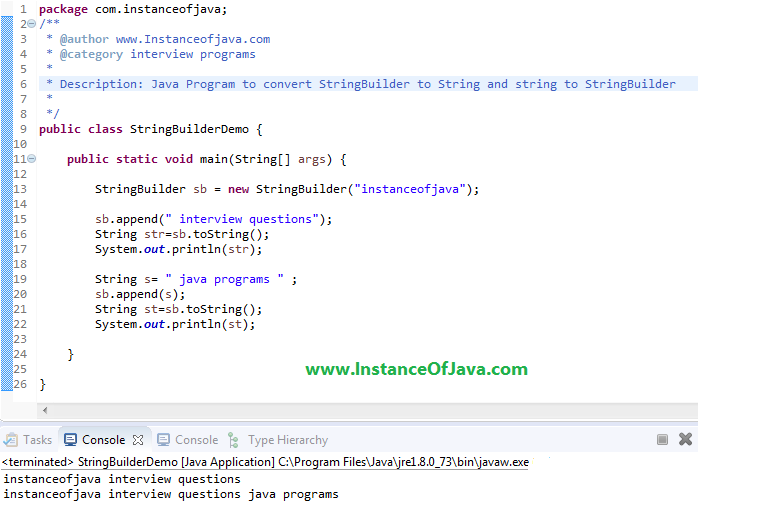 #3: Java program to convert string to StringBuilder using append method of StringBuilder class.